Indian students considering applying to the Stanford MBA program should check out the Reliance Dhirubhai Fellowship. 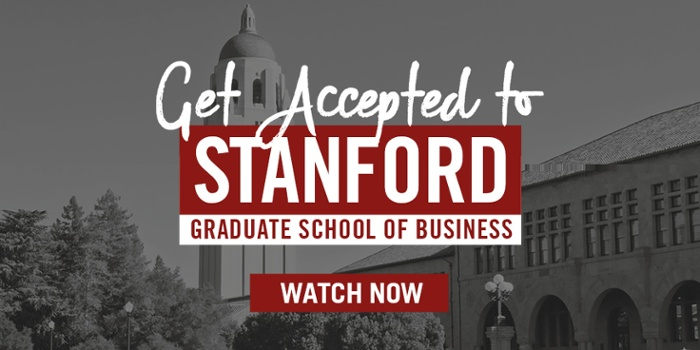 The scholarship covers approximately 80% of the Stanford MBA’s tuition and fees for up to five Indian students to attend Stanford GSB, and the top 50 finalists for the Fellowship will even receive a break on applying – submitting Stanford’s MBA application for free. The Fellowship’s application process has already begun and registration will end on May 29th, so if you are considering applying to Stanford this year, be sure to complete the application soon. Two-hundred and fifty words is not a lot of space, so I recommend that you carefully detail your past leadership experiences in your CV to leave this brief essay solely to your vision for the future: In what areas do you aim to make the greatest headway? How do you plan to undertake that effort? What goals do you aspire to and how do you intend to help India reach them within the next 10 to 20 years? Obviously, goals based upon previous experiences and involvement will strike the Fellowship’s review committee as the most authentic, so take the time to identify what areas of development are truly the most important in your eyes and share your passion through this essay. Once the top 50 finalists for the Fellowship are selected, they will proceed to complete the regular Stanford application. If you would like professional guidance with your application, please consider Accepted’s essay consulting and editing services which can be used for strategic guidance, essay and resume editing, and interview coaching for the Reliance Dhirubhai Fellowship application. Jennifer Bloom has been a consultant with Accepted for 19 years and is a Certified Professional Resume Writer (CPRW). She is an expert at crafting application materials that truly differentiate you from the rest of the driven applicant pool. If you are looking for an admissions consultant that understands what Stanford and the Reliance Dhirubhai Fellowship are seeking and that will guide you with a combination of great personal attention and insight, then you are certain to be happy working with Jennifer.